Recently I decided that during the cold northern winter months I would try my hand at some crafting. 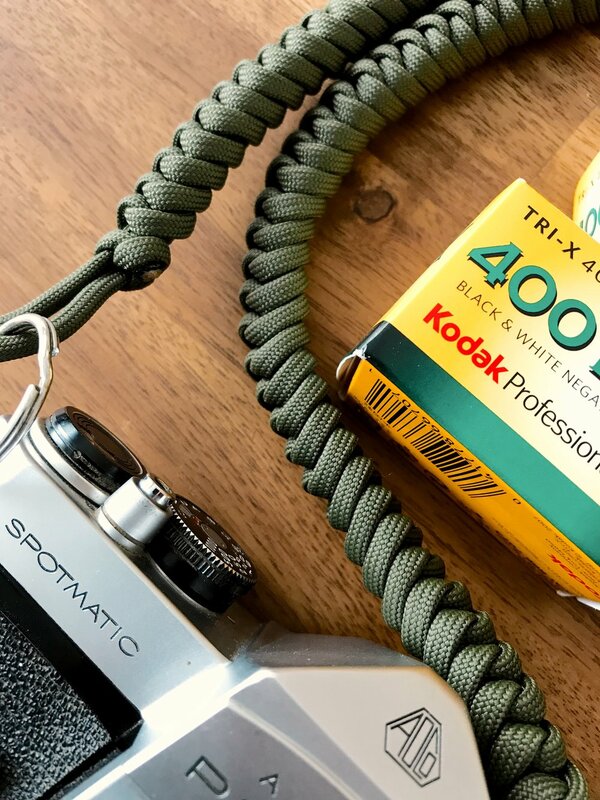 One of the simplest things you can start crafting with is paracord and there are some great paracord projects online for film shooters like me. 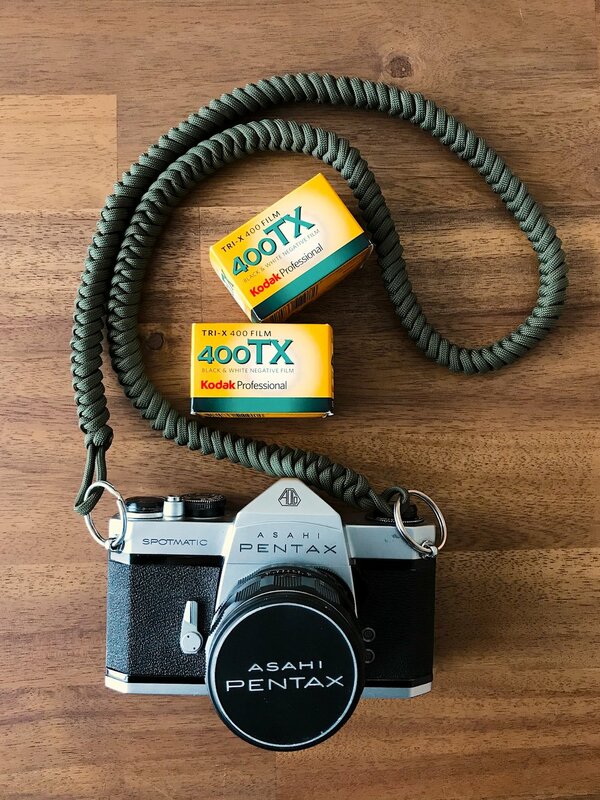 Below is a camera strap I made using a knot called the snake knot. It’s a fairly simple knot that once you have repeated a dozen or so times you’ve built up the muscle memory to keep going. The below project took approximately 40 feet of cord to complete. I purchased 100 feet for less than 15 bucks shipped on Amazon. Here is a link for the video in case you want to attempt one your self. One of the small adjustments I plan on making just for ascetics is using smaller black anodized key rings. Just to make it a bit sleeker looking.